The folks with the Macon County High School band had an unfortunate accident recently and although no one was hurt, several of their instruments suffered damage. Joey Wilburn, Band Director for the Macon County HS band, reached out to Rick DeJonge at Jupiter Band Instruments for help. Rick and the team at Jupiter took swift action to provide replacement instruments for the band. KHS America is proud to support the Give a Note Foundation in its goal to connect business and community leaders for support of music education for every child. The Banded Movement Has A New Home For Uniting All Members Of The School Music Community: Getbanded. Almost one year ago Jupiter launched their “Banded” campaign that highlights the common ground shared among musicians, music educators, parents of musicians, school music retailers, community supporters and the Jupiter team. The campaign continues to grow and now has an official online home: www.GetBanded.com. Tabor Stamper, President of KHS America, awards Chauncey Kleveland with a $1,000 scholarship to help her pursue her dream of becoming a Music Educator. Music advocacy group Be Part of the Music today announces the launch of its program, which aims to inspire one million new students to enroll in America’s public school music programs annually. It was the first day of school for Central High School band students in Baton Rouge on August 11th, 2016. Many students took school-owned instruments home to practice, not realizing how their lives would change in the next 48 hours. The flood that hit this area of the country not only swallowed up many of their homes, but took their belongings, including these musical instruments. 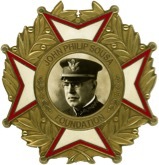 The purpose of this competition is to identify, recognize, and honor outstanding high school musicians who demonstrate a significantly high standard of excellence in performance. Review the requirements now. As part of the TBA/KHS America Academic Student Melody Competition, the winning theme titled ”Devil’s Perspective” was used as thematic material for a full wind ensemble piece. This year’s winning melody was composed by Quinton Porter, currently a senior at Timber Creek High School near Dallas, and was premiered by the US Air Force Band of the West at the recent Texas Bandmasters Association Conference. At the invitation of BLUME (Building Leaders Using Music Education) president Janet Anthony, Dr. Milt Allen of The Music Guerrilla and Jupiter Artist/Educational Clinician went to Haiti to assist in teaching at 2 music camps and to explore the possibility of further partnerships. Each year KHS America awards a college scholarship to a member of the United States Army All American Marching Band (USAAAMB). There were 17 applicants this year and the winner was announced during the band’s banquet in San Antonio, TX on Saturday, January 6th. The 2018 winner was Elissa Travis from Hamilton High School in Chandler, AZ. 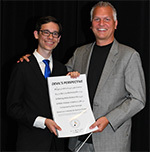 Jupiter Band Instruments, member of the KHS America family of brands, has once again partnered with the John Coltrane International Jazz and Blues Festival’s Student Essay Contest. This is the 5th consecutive year Jupiter Band Instruments have partnered with the festival. Connect With Uson facebook, twitter and youtube. © 2019 Jupiter Band Instruments, INC., All rights reserved.